The evil feline not only wants to create everything in her image, she’s also intent on arming the entire world in her style (hey, where there is a buck to be made….) 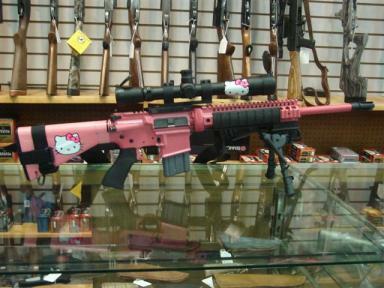 which pretty much where anyone living in Hello Kitty Hell thought she would be headed. It won’t be long before you see those “The Few, The Proud, The Marines” commercials with a “sponsored by Hello Kitty” in the corner. 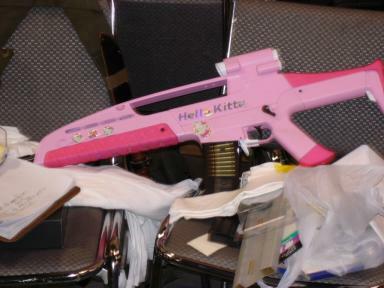 On the surface, a Hello Kitty gun just seems wrong (but then again, anything Hello Kitty could fit that description). 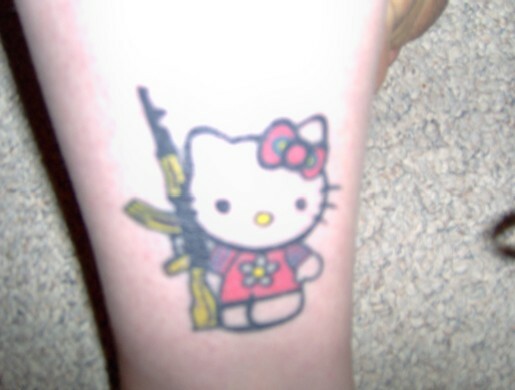 But with a little more thought, one could argue there is something quite appropriate about the character that is all about “love and sweetness” displaying her true colors and what she is really all about (death and misery for all those Hello Kitty fanatics that needed a hint). 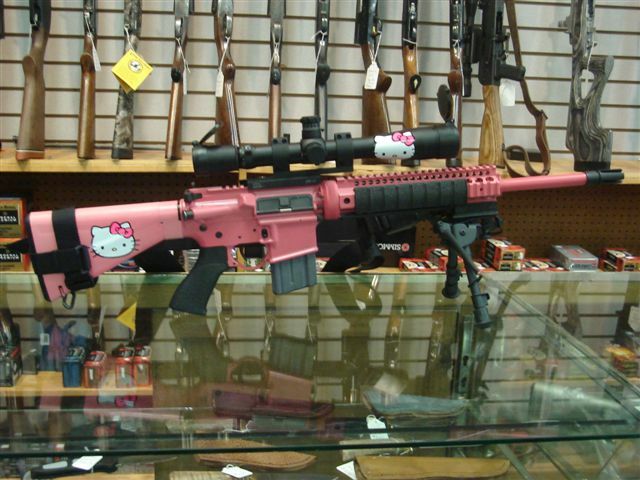 I guess in the end, it really doesn’t matter because either way, it’s still misery in Hello Kitty Hell..